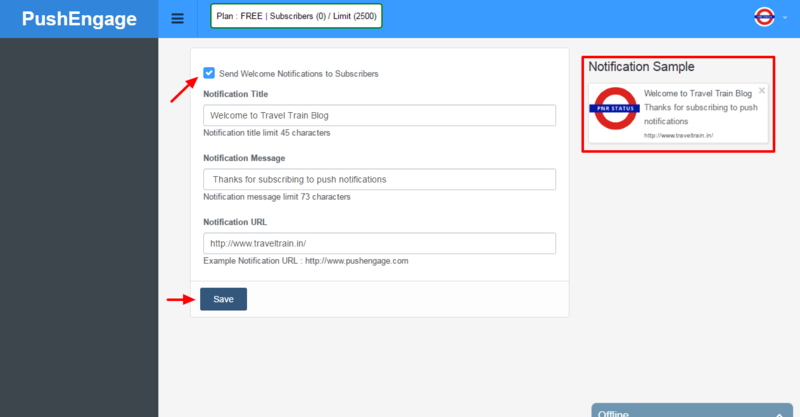 Whenever you post a new blog, push notifications are sent to your subscribers. Isn’t that cool? 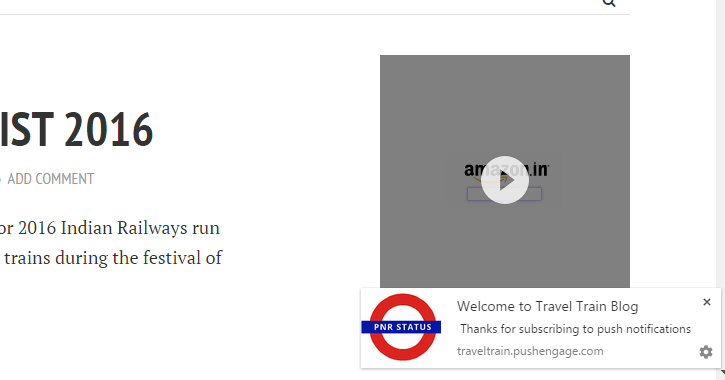 That’s why a free push notification comes handy which brings your readers back to your site instantly. Survey shows that push notification have higher open rate than email and CTR too is high. 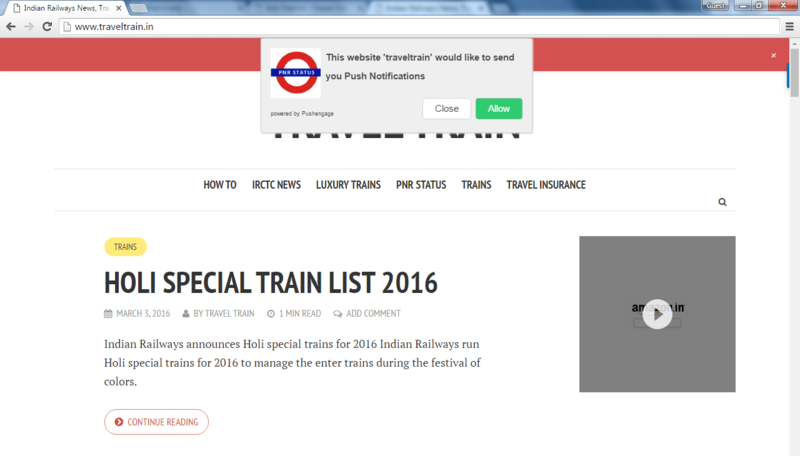 Push notification is really impressive to engage your users & bring traffic to your site. 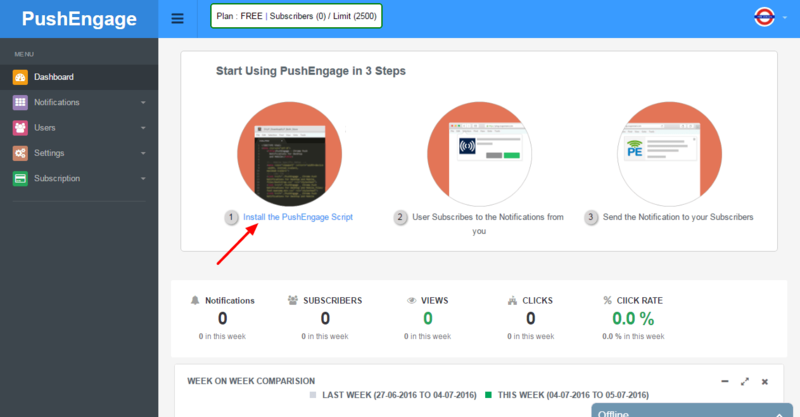 In this post, we are looking into PushEngage web-based push notification service. 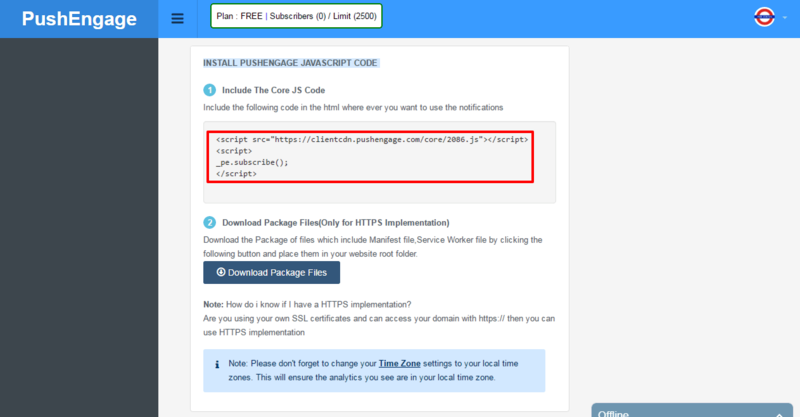 Now we are going to install this to WordPress site. 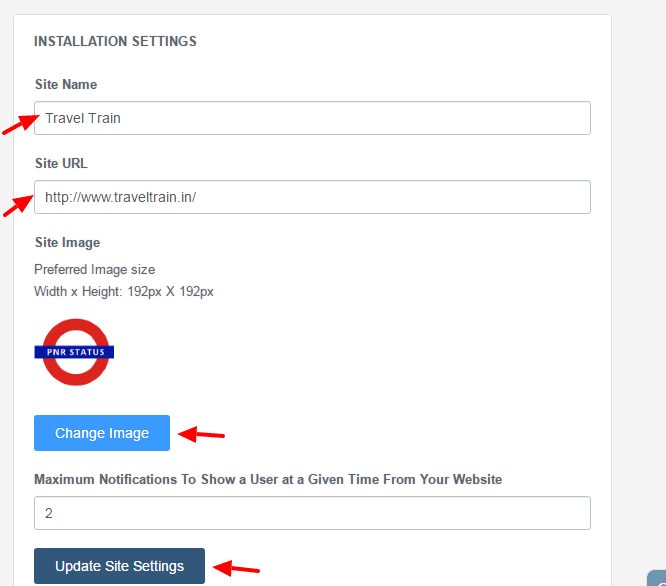 Now Fill Your Site Name, Site URL and Site Logo, and Save Site Settings. Bonus: You can send Custom Notification too. 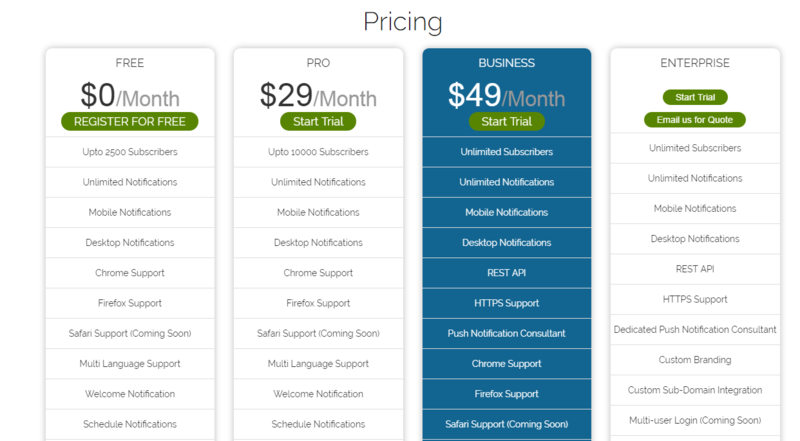 With this Free account you can send notification up to 2500 subscribers and only one site allow. Hope this new tool is helpful to all of you!